In response to the LOOK/15 themes and title of EXCHANGE, young curators and artists will work with the curatorial team at the Peter Scott Gallery to select and present work from the rich collection of Pilkington’s Tile and Pottery Company material held by the gallery. The physical manifestation of this selection will travel and trade with LOOK/15 digitally and by other means. 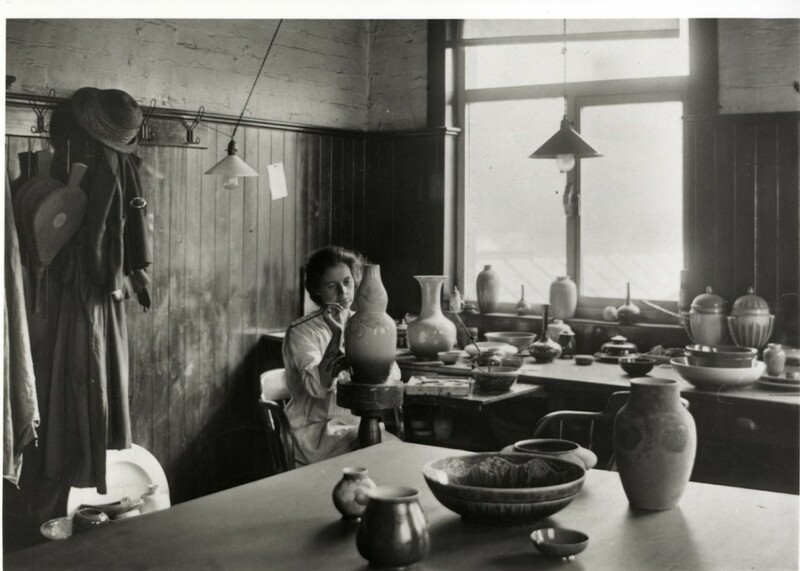 The photographs in the collection demonstrate how an international exchange of British art and craftsmanship was produced and highlights the contribution of skilled female workers. The collection held at Peter Scott Gallery illustrates the work of a leading international factory operating during the Arts and Crafts movement, particularly the company’s golden period in the early 20th century. This also provides a link with the arrival of the Cunard ships during LOOK/15 and what they symbolize for the festival; in the early 20th century Cunard was in competition with White Star Line, the company responsible for building the ill-fated Titanic; the Peter Scott Gallery collection contains evidence of the work undertaken for Titanic by Pilkington’s. This exhibition forms part of Live at LICA's OPEN programme. Who are the women behind Pilkington's? Help us either reunite the photographs with their memories or provide us with new ones. If you have any memories about the women of Pilkington's you'd like to share or stories of your own from working in a similar environment then please e-mail caroline@liveatlica.org. Emma Smith, Executive Director of LOOK/15, will be giving a talk about LOOK/15 at 1pm in the Peter Scott Gallery. More information to follow shortly.